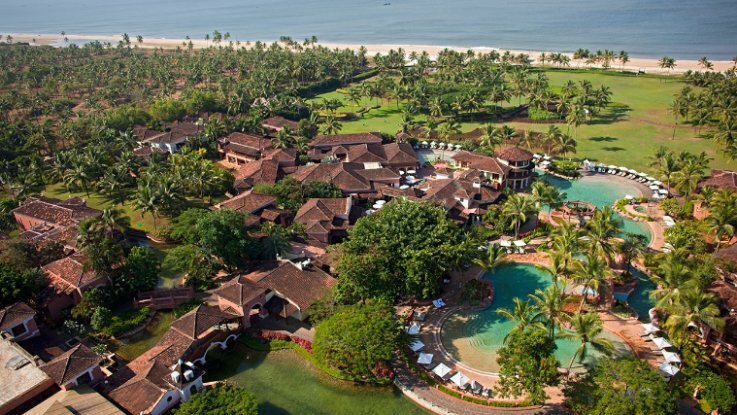 Indo-Portuguese village style luxury 5 star 45 acre boutique resort sprawls across the southern part of Goa and is situated amidst pleasant gardens that are green all year long. The spa in the resort is world class and quite a delight to guests staying here. 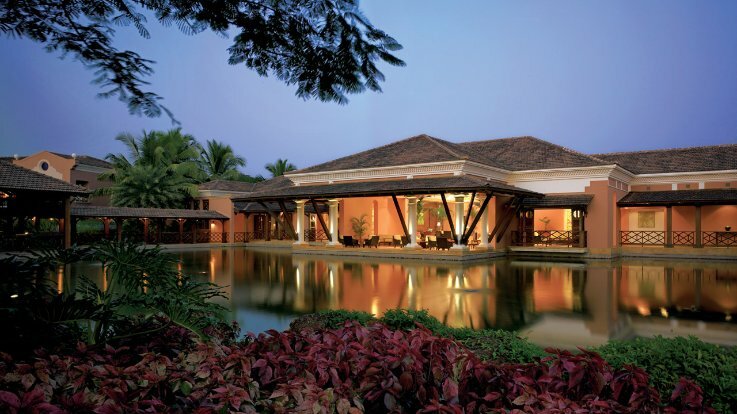 Park Hyatt Goa’s blend of colonial architecture, contemporary design and tropical landscape is sure to give your wedding the grandeur it deserves. 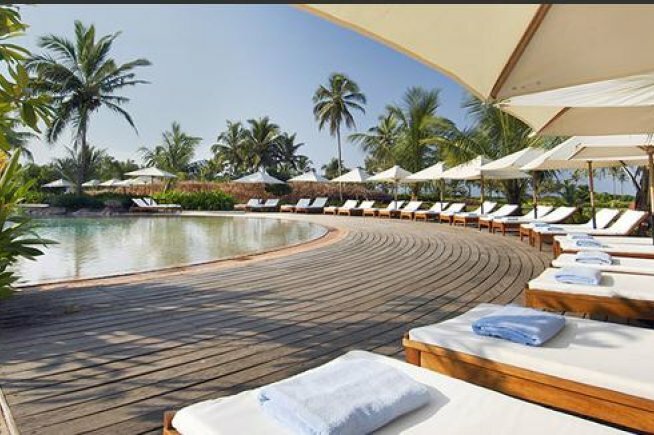 We at MWP are certain that your family and friends will be left enchanted by this fascinating Indo-Portuguese village style luxury 5 star boutique resort. Nestled along the pristine sugar-sand Arossim beach and with many other attractions nearby having your celebration at Park Hyatt Goa will add a dimension of fantasy to the dream destination wedding you always wished for. Right from a great beach facing location to a beautiful ballroom boasting of stylish contemporary ambience, to the finest details of exquisite food as well as elegant set-ups, Park Hyatt has it all leaving you and your guests mesmerised by a truly magical wedding celebration. 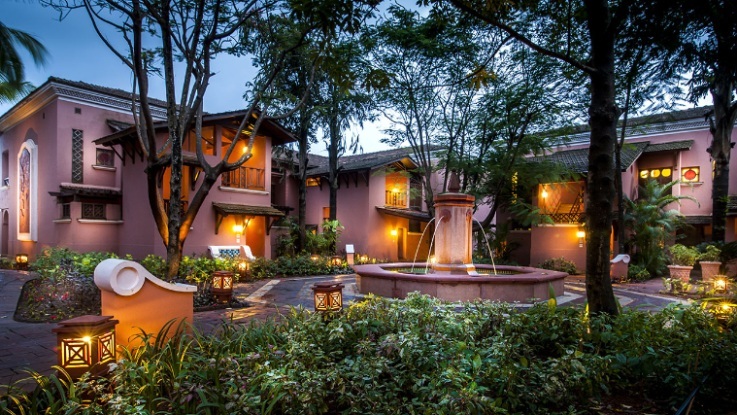 The resort is set within 45 acres of landscaped gardens, lush lawns, glimmering waterways and lagoons in which cobbled pathways and tiny bridges lead to Indo-Portuguese style Pousadas that comprise of 250 guest rooms including twelve suites. 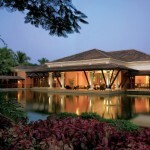 Park Hyatt Goa is 17kms from Margao and 42kms from the Goa airport. 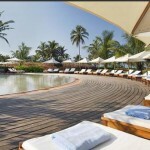 Park Hyatt Goa Resort & Spa is by all means, a wonderful place to have your wedding. There are so many reasons for proving this claim. 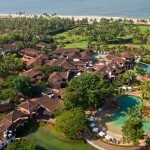 The hotel sprawls across the southern part of Goa and is situated amidst pleasant gardens that are green all year long. 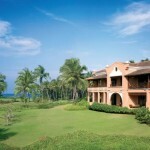 The 45 acre resort is frequented by many popular personalities as it offers tranquility in plush surroundings. 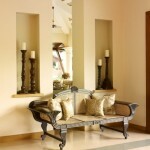 The spa in the resort is world class and quite a delight to guests staying here. If you choose to get married indoors, you can opt for SALCETE which is a Regal Ballroom that can accommodate up to 450 guests. If a dreamy sit-down dinner is your fantasy, sashay into this elegant ballroom charmingly embellished to house your fairytale desires. SALCETE is a 4025 sq feet grand ballroom that is pillar less and boasts of latest sound and light technology. Warm earthy tones, carpeted floors and contemporary fixtures add a tasteful tone for any ceremony. The Ballroom transforms into an ideal setting for a formal dinner or classic reception. The adjoining Palm Court is perfect for cocktails. Divide the Ballroom into three parts to create a more personal space, including a dance floor. For a wedding with a difference, have your pre-functions in FOREST LAWN under the canopy of an azure sky and treat your guests to a generous helping of warm sunshine. Bright colours and tropical flowers can accentuate the décor for your mehendi ceremony or sangeet and set the mood for the festivities to follow. If you wish to host your reception outdoors in the evening, FOREST LAWN will do justice and a sprinkling of twinkling stars will complement that special theme you have in mind for your reception dinner. SEASIDE LAWN You can also pledge your vows to each other in a beautifully decorated floral and linen -laced mandap by the sea, by opting for their SEASIDE LAWN. BOATHOUSE is an elegant venue that overlooks the shimmering lagoons. Offering guests immaculate views, this exclusive space can accommodate up to 25 guests and is fantastic for a small cocktail functions. Select one of the smaller venues like COLVA, BENAULIM, PALM COURT OR VERANDAH for more intimate receptions. All of them can accommodate 40 persons each in theatrical and cocktail sitting. Hence, depending on the number of guests who will turn up for the event, you can select the halls.Couples who choose to get married at Park Hyatt can benefit from the range of ballrooms, lawns and flexible venue layouts. The Banquet staff at Park Hyatt will be able to guide you regarding the perfect setting for your celebration in terms of Venue and décor, cuisine and theme for the wedding. Avail of their on-estate wedding specialist, who is assigned to the happy couple, to personalise the event. The bridal party is also treated to a day at the hotel’s Sereno Spa to unwind and de-stress before the wedding. Sign up for the Hyatt’s Wedding at the Park offer, and get your honeymoon nights on the house. 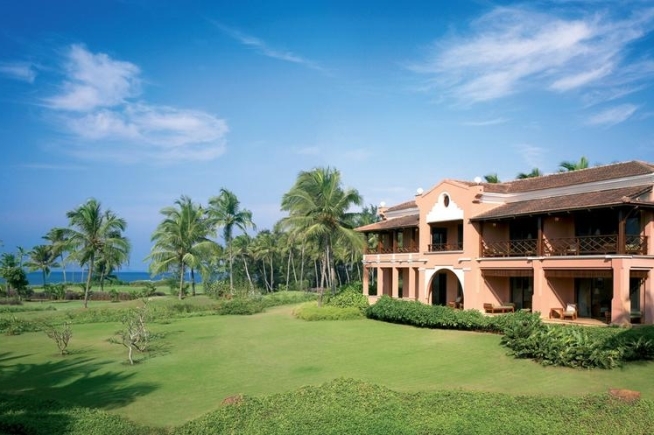 CASA SARITA Authentic culinary delights created in a traditionally designed Goan house. MASALA Masala offers an array of delicious North Indian cuisine. DA LUIGI Enjoy an epicurean journey of Italy at Da Luigi. VILLAGE CAFÉ Village Café is perfect for breakfast or a light meal. PALMS Palms is a beautiful beachside seafood grill. PRAIA DE LUZ Praia de Luz is an elegant lounge bar. CABANA The Cabana is a beautiful shack to relax or enjoy an intimate dinner. For a unique shopping experience in Goa, take a leisurely stroll along the VILLAGE SQUARE. The Village Square houses quaint boutiques and stores that offer an intriguing mélange of treasures, from leisure wear to intricately embroidered silk garments, objets d’art and souvenirs to eclectic jewellery and hand-crafted carpets. The Indian Diamond Centre offers a wide selection of jewellery made of diamonds and precious stones. The VICTORIAN Jewellery store offers a wide selection of ethnic and antique jewellery inspired by 14thand 15th century Mughal designs. The Silk Route is a one-stop shop for all types of silk materials, brocade fabrics and the finest quality cashmere shawls. LOTUS ISLE offers an array of designer apparel and accessories for women. Indigo offers an array of designer garments and accessories for men. 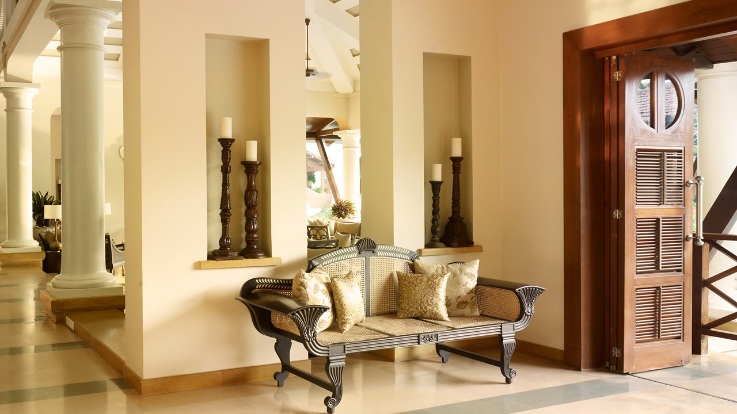 Private Collection houses an exquisite selection of hand-crafted souvenirs and memorabilia. 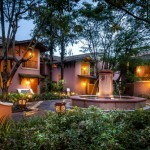 SERENO SPA showcases an exquisite array of luxurious spa products. From acclaimed international spa brands to organic natural beauty products, the spa boutique offers a hand-picked selection of only the finest beauty products. The hotel shops are open from 9:30am to 10:00pm every day.